Then we got a cranky letter: "Saying children matter in these times suggest that they don't matter at other times." Which, of course, was hogwash, but it does suggest that almost anything is open to misconstrual. Respectfully, I don't disagree with the criticism. That sentence has a perlocutionary effect such that readers are lead to think that children "matter" differently in terms of significance at other times. There were a lot of ads at the time that recieved similar responses. It is just poorly chosen grammar. But the "T" issue as far as western typography is concerned hit an interesting wrinkle in the mid 2nd century when Christians started morphing the (by then anachronistically labeled) Greco-Roman "t" into something called the staurogram. That particular consonant featured heavily in words associated with crucifixion, and Christian scribes employed a very unique symbol to designate stauros (an elision of tau-rho) that looks much like a "t" with overactive serifs. (I can send some images if interested.) 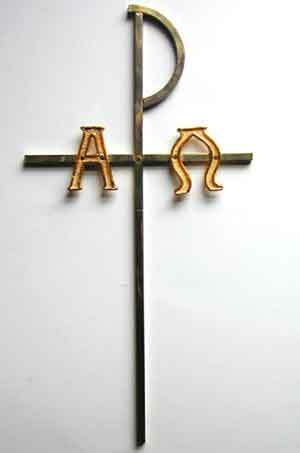 I agree with others that it is actually the first visual representation of the cross in Christian art. All this is to say that should Gigi be reading 3rd century papyri, she would have a solid case. The vertical lines in the header make me feel fat. Respectfully, I don't disagree with the criticism. That sentence has a perlocutionary effect such that readers are lead to think that children "matter" differently in terms of significance at other times. There were a lot of ads at the time that recieved similar responses. I don't disagree with that construal, but I also don't disagree that children "matter" differently at different times. Obviously personal dignity is not a quality that varies with circumstances. Fine. The point is certainly worth making. But there's certainly another sense in which the experience of having loved ones suddenly "matter" to us very much more at key moments in our lives, that is, of having their importance suddenly brought home with great emotional force, cannot be gainsaid. For example, there was never a time when my wife Suz would have said that her sister Lori didn't matter. But when their brother Dave died two years ago, Lori "mattered" to Suz in a new way. I don't think Suz had previously felt that two siblings (three altogether) was not a lot, but with the loss of one she suddenly felt acutely that two altogether was so few. Getting back to site design, has the bookmark icon for this site been updated? The one on my work PC is still the old blue one. It's disconcerting to click a link with a blue favicon and come to a brick-red page. i. leaving? Huh? Do you know something I don't? It takes a lot for me to be offended, probably more than could be achieved here and certainly not a design re-think no matter however unnecessary I thought it was (speaking as someone that really isn't in the slightest bit concerned about the many a&f squabbles, I just come here to talk about films). I don't like looking at things that I find aesthetically displeasing, is all. Ditto. Surely you've also been a lurker long enough to know that the tone of the written word is easily misinterpreted. I think the logo is classy and elegant. And the color works for me. It reminds me of wine. Primarily - I think this has been mostly covered by others and myself above but as a designer, to take the position that design doesn't invoke ideas is either disingenous or ignorance. I trust it is the former. I have no idea about the album covers you're referring to, but I think it would be fair to say that it isn't me that's taking liberties here but your comparison. The issue I raised was to provoke discussion and not to declare a boycott. Perhaps the Beardsley cover did have a visual reference to tarot cards, there's a distinction between pointing this out and then refusing to listen to the album on that basis. As for 'personalities' - frankly, no, I never assume anything about anyone I occassionally discuss arts with online. I tend to avoid topics that don't interest me, including the ones where the 'personalities' may shine through more. However, that you dismissed a genuine concern as an attempt at 'cowing' is quite revelatory. As for the insinuation that I wanted to disguise the fact that most people here are Christians, (and despite Greg Wolfe's protestations, the majority demographic of the board is Christian) I hope you weren't implying that I am intolerant of Christian declarations of faith. I believe my continued and always moderate presence here stands as a testament to the very plain and simple fact that this is not true. I also was not implying that 'the board' is intolerant of other faiths or forms of believing, but stating that iit is perhaps not *welcoming* of them, and there IS a difference. There is no doubt that this board is a Christian board, logo or no logo, the content attests to that at a glance. What I suggest is what I hope is the guiding principle of the board: that dialogue provokes thought. In this case the multi in 'multi-faith dialogue' may be the minority, but why should it be made to feel thusly? And no, I'm not only talking about the logo anymore. ii. the cross wasn't my idea - it was insinuated at earlier in the discussion. I was more concerned by the dryness of the logo and referred to this to show that I wasn't the only one reading it in Christian terms. If I misinterpreted Michael, I apologise, but in that case I'd be interested to know what other symbolic meaning it could have. Well, Greg had already answered Michael's question, saying the T was aesthetic, not symbolic, before you posted. If you're going to maintain that the T is symbolic anyway, you're making Greg out to be a liar, and apparently he doesn't take too kindly to that. Primarily - I think this has been mostly covered by others and myself above but as a designer, to take the position that design doesn't invoke ideas is either disingenous or ignorance. Well, it's a good thing I didn't take that position, then! I trust it is the former. (You'd prefer disingenuousness to ignorance? Thanks, I think.) Rather, my position is that not all ideas invoked by a design are necessarily intended by the designer. I shared anecdotes about record covers and newspaper ads, not so much by way of comparison but as examples of other times when people inferred things about designs that were not intended. However, that you dismissed a genuine concern as an attempt at 'cowing' is quite revelatory. What genuine concern is that? You infer something about the logo that makes you "uncomfortable," and that's automatically a "genuine" concern? Even if you inferred incorrectly? As for the insinuation that I wanted to disguise the fact that most people here are Christians, (and despite Greg Wolfe's protestations, the majority demographic of the board is Christian) I hope you weren't implying that I am intolerant of Christian declarations of faith. Well, you're the one who said they made you uncomfortable. I was asking what it would take to make you un-uncomfortable. I believe my continued and always moderate presence here stands as a testament to the very plain and simple fact that this is not true. I also was not implying that 'the board' is intolerant of other faiths or forms of believing, but stating that iit is perhaps not *welcoming* of them, and there IS a difference. We've had participants all across the spectrum of Christianity, and participants from other faiths, and participants with no faith. The only overarching rule would seem to be that participants must be able to engage each other civilly, without baiting, flaming, blaspheming, name-calling, non sequiturs or other unruly behavior. For the record, I like the new design and logo. I think they're both simple (in a good sense) and "warm" (these are both highly technical terms we use in the advertising world when discussing creative... ). Greg - this response is completely over the top. I'd already made the decision to stick to the film forums as too many people have become far too sensitive in this place for reasons that don't involve the vast majority of us. As for terms such as hate and dislike - I think people here know my online presence well enough to know that I am opinionated and I don't shirk from voicing it in strong terms. I do hate the logo, as I said, I feel strongly about design. Sorry if that disparages the hard work you put into it but surely you've had the experience of people disliking the work you've done before. That I am threatened to be blocked from the board on the basis of one post sincerely strikes me as rather ludicrous. But hey, do what you feel is necessary to maintain the status quo. If you're citing gigi's post as proof that she is being "snotty" and that there is justification for banning her, I think that that interpretation is off base. Her post seemed to me to be civil and reasonable, if opinionated. But I don't think we have any guidelines against strongly expressing one's opinion. No one is being attacked here. I don't agree with her opinion either. I was one of the first people who congratulated you on the new site design, but I don't see anything offensive about it or the way she expressed it. To whit, I think your "QED" is out of order. Forgive me if I'm stating the obvious, but to make a staurogram look like a T, you have to chop the rho off the top, at which point methinks you no longer have a staurogram. gigi: I very much value your presence in the Film forum (or fora), so if things here getting a bit, um, whatever, then perhaps it would be best to just drop this thread and stick to the Film section? nardis: What do you mean about blocked comments? I can see gigi's comments fine. mrmando: When I was nine or ten years old, I created a "logo" based on my initials, PTC, and it looked just like that first staurogram, except it had a C dangling from the right end of the T-bar. I used to scribble it after signing my name on cheques and things, and to this day it's what I scribble if someone merely asks me to "initial" something. I had no idea I was stumbling so close to an ancient tradition like that. I had no idea I was stumbling so close to an ancient tradition like that. Which, I suppose, is another way of stating my point about design and intentions and so forth. I don't doubt that I have a lot to learn about moderating a board. And I am learning. It's a crash course (pun intended). Of course, I think it's only fair that the community begin to learn something about its new moderator. So here's one thing I am confident about: posts that contain "I HATE" (capitals in the original) in the very first sentence do not set a tone of civility and reasonableness. Nor can ever rude remark merely be called an "opinion." Nor can you convince me that when someone makes an unfounded accusation without attempting to verify information (to ask a simple question or make a statement of concern) that is a civil or reasonable thing to do. Ready, shoot, aim -- that's not how things should be done. Many members of this forum have literally begged me to attempt to raise the tone of discourse here and I am not going to be deterred in my quest to do that. I am willing to learn from any mistakes I commit along the way but I will not swerve from the basic commission I bear. Here's another thing I feel certain about: people are apt to jump to conclusions far too easily. And Cunningham assumes I raised the issue of banning gigi when I did no such thing. If gigi really wanted the community to see me for what I am, she would actually have cut and pasted my PM to her into the body of her post. Gigi, you have my permission to do just that. Final thought: when a moderator acts, he is called tyrannical; when he doesn't act, he's called a collaborationist (with whatever is being deemed evil). In the end, a moderator has to act -- even though opinions will be divided about those actions. I will attempt to act sparingly, consistently, transparently. But know this: for every one of you who thinks a moderator is being too harsh on a merely "opinionated" member, there are five people who will simply leave the board because of those "opinions." So before you confident posters out there make the argument that being opinionated is AOK, consider those driven away. THEY have no voice. True, you could say: "They could have said something" but that is to ignore the fundamental fact about boards: most people are shy about even entering the conversation. I have the responsibility to speak for them -- and to provide an atmosphere that welcomes them in. I urge all of you to be as welcoming to newcomers and observers as possible. Never forget them. Now you know a little more about me and my vision. And why I chose my avatar. is that like the OED? An overly mannered atmosphere can be just as dissuasive to forum newcomers as one where inflamed opinions stomp all over each other. I think I read someone, maybe it was Greg, mention the slow pace of conversations in the Image forums, which may be a case in point. When the bar of conversation is set too high, the need for a crisply professional/scholarly/meaningful tone can overwhelm the desire to speak. About the PMs, I can't send them either without going through the friending process. Something in the system changed. Oh, and about the new look: there's a big swath of white space to the right of the page. I can scroll to it. It doesn't affect my reading, I thought it was just something worth mentioning. I also like that the number of posts is now gone. Another minor but pleasing change. If I was mistaken in my conclusion that in your message to gigi there was the threat of banning, than I apologize. I also appreciate and agree with KShaw's comments above, that an overly mannered board can be just as difficult to participate in as a wild and wooly one. The balance is not an easy one to find, and in a forum, as this one, that is composed almost purely of the expressing and discussing of opinions, I hope that being assertive in what we think about something, whether it be a movie or the board design, won't be discouraged. I hope we can let this rest by just noting gigi's disapproval of the new design, and Greg's disapproval of her tone. In both cases, each poster seems to have made critical interpretations on the other's expression that the originator of the expression claims not to have intended. As moderator and administrator, Greg has the authority to take action on that interpretation, though it appears he has chosen not to. So, I think that all involved should take note that "we're just talking here." And, I plan to drop out of this particular conversation, having said my piece, while it's still under control. In my experience on online fora, extended meta-discussions very rarely lead anywhere positive. "...an overly mannered board can be just as difficult to participate in as a wild and wooly one. The balance is not an easy one to find, and in a forum, as this one, that is composed almost purely of the expressing and discussing of opinions, I hope that being assertive in what we think about something, whether it be a movie or the board design, won't be discouraged." Thank you for your balanced and gracious response. Yep. We'll be adding new moderators soon. As you suspect, it's just that we haven't got to that yet. I see the wisdom in spreading both the workload and the...emotional load. True - IMO (about opinions and civility). If I may make a suggestion: it would probably help to get to know folks who've been posting here for a while. Most of us are profoundly non-toxic. And another thought: Other mods? (Preferably people who are good at conflict resolution and don't have any stake in this board... making for some objectivity.) It's - IMO - almost impossible for only one person to be the sole mod, for all kinds of reasons (not just having to do with conflict resolution; a lot of it's admin-type stuff). The other boards and Yahoo groups that I frequent all have several people - in one case, a whole committee - of mods/admin sorts. *** I realize it's early days now, and that Greg's likely planning on expanding board staff, but I figured the suggestion was/is a reasonable one. Something that popped into my head as I read some of these exchanges earlier (*not* intended as a "holier than thou" kind of comment): "A soft answer turneth away wrath." Which is something I need to take to heart personally. As a former board mod (elsewhere - not something I ever want to do again), I hear you, Greg! I wish I could embed one of her sketches... the one and only Emily Litella! Link to "Violins on Television." I'm glad y'all worked this out. I'm just posting to say: I'm a fan of e2c's new avatar, I don't pay much attention to the site design as long as it loads swiftly, Greg is right about the perils of moderation, and I've been pleased to see some new posters in the main forums recently. e: Can I call you by your first name now, or do I need to call you "e2c," as I called you "nardis" all these years? This applies across the board: I almost always call people by their user name, or whatever you call that thing that displays on the board. I don't pull up someone's profile to check their real name -- which sometimes isn't available. I hope everyone's OK with that approach. If you want me to call you by your first name, just let me know. Hey Christian - I normally *don't* like to use my given name on boards and such, if only because Google and Yahoo have an uncanny ability to index and spit out posts that I've made (elsewhere) where I used part or all of my real name. for me, it's just easier (and safer!) to keep my online publications (using my real name) separate from my convos elsewhere. "e" works for me, in public. My name's fine off-list. Thanks so much for asking, too! Sounds good. I've edited my previous post to refer to you as "e."
I see the Arts & Faith logo has been tweaked. I have to say I kind of like the old one better. This one just seems a bit lopsided or unbalanced somehow. The left side seems to be a lot heftier than the right to my eye, and I don't see the benefit of running the two lines into each-other through the zero line-spacing. It blocks the letters into strange chunks for me. Whenever I look at it I see ARF TA SITH. I think that part of the problem is the ampersand. It balances perfectly with the A R and F to make a square, and sets those off as a separate unit to me, and then the rest follows after that. And if you are running the lines into each-other, doesn't it become a bit redundant, as the line-spacing already communicates the connection between the two elements? Whenever I look at it I see ARF TA SITH. At last someone has uncovered the long-suspected Star Wars/Eastern mysticism undertones of this site. And another thing: if you unscramble the letters in ARTS & FAITH you find & THAT IS FAR. What is far?, you might ask. And, really, what does "far" mean in the context of the Internet? And several other esoteric questions. Indeed. But you can be assured that people are up to no good, and probably trying to lead Christians astray. You don't subliminally mention the Dark Lord unless your purposes are sinister. I think it looks like "Arts eFaith". Is eFaith better than iFaith? Do they embrace iFaith at meChurch? What cunningham & Overstreet said. With an e thrown in somewhere.